canon | byon's blog - my daily rant! It’s a tough choice between having Google Cloud Print, Duplex ADF, Fax. This weekend I started to meddle with the print server capabilities of the router. I had prior experience with printer and scanner support during my work as a customer service executive with Canon Marketing Singapore. Canon never promised any support for products that were not sold with network access capabilities, and it is fair since we paid a lower price for this printer. My work requires me to test the printers at times to test is authenticity with some higher-end print servers. Thus I never had faith with print server technologies from 3rd party vendor unless they are proprietary. However, I was impressed with the Asus router since it supported scanning and printing from the multifunctional printer/scanner that hardly any hi-end print servers support. And it supports most of the operating system models as long as Canon provides driver support. Asus did not provide any adequate instructions to the configuration of any typical/multifunctional supported list of printers with the router, yet it boost support for many of the printers you can find in the market during it’s launch period. The forums are not as active with their home support and I also highly doubt how much support they provide via email or phone support. If you had previously connected the device printer to the same computer physically with drivers installed, the installation will be much easier. I will advise you to install the machine with the physical USB cable on the machine prior to setting up the wireless printing capability. However, if you hadn’t it is also possible. Both windows and mac are supported. If you are novice, there are links below you should click on as you go. Generally the steps are similar to the ones in the youtube video provided by Asus, https://www.youtube.com/watch?v=neFK-I_G90w. If you are new to this, please go through the YouTube video first! I’m running Asus RT56U with Padawan’s 3rd-party firmware (v 3.4.3.6-064), it shouldn’t matter if you are actually using the original firmware. Since padawan’s version is based off the original firmware. 2. 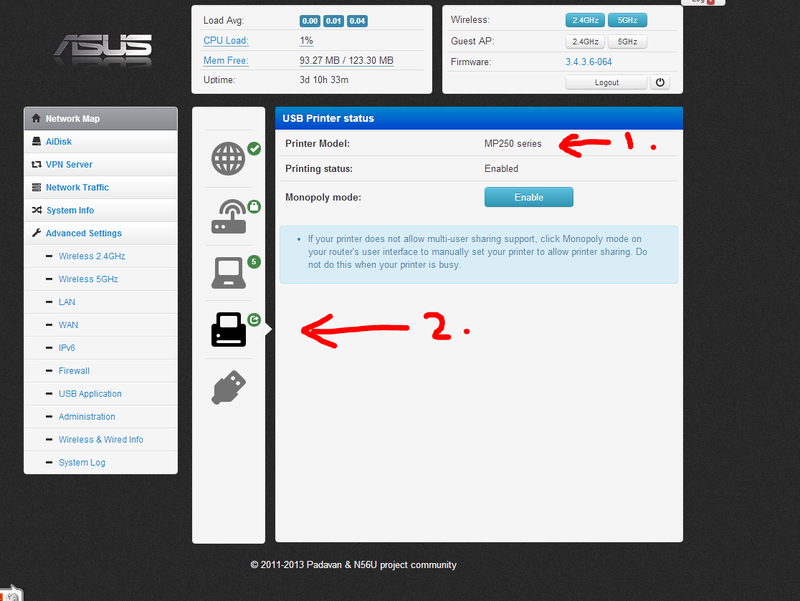 Access your Asus Router page typically (http://192.168.1.1) on your browser to check that your printer has been recognised. See image below. 3. 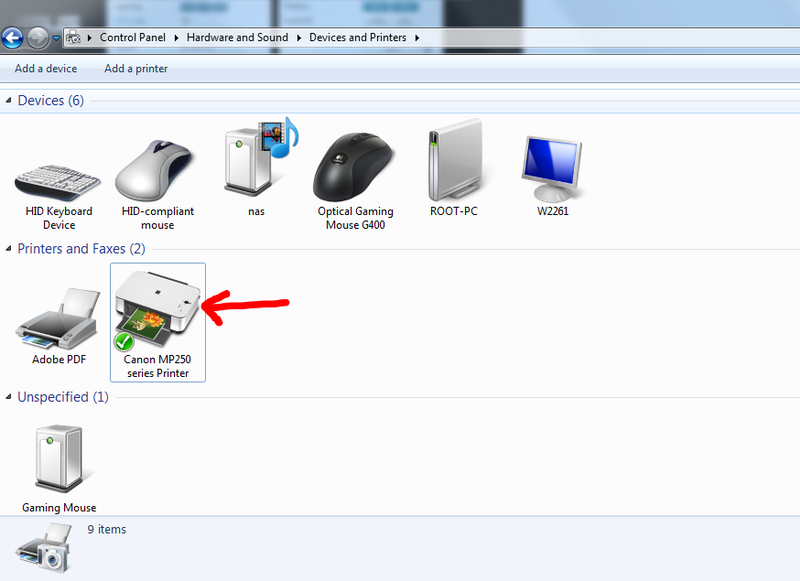 Next, download Asus EZ Printer Setup Utility from Asus website. or click here to access asus support or direct download here (Version 1.0.3.4). 4. Run the setup file (Printer.exe) inclusive in the archived file. 5. By now, your printer and scanner should work off-the-bat since you had the driver installed previously. Test it and give it a go. However if you hadn’t, I would recommend you first to restart the computer and see any prompt appears for you to install the driver of the printer. Or whether it has automatically been installed. Check the device and printer page if the printer has been installed. If not these are the steps you should try. These also works for Mac. 1. Manually add the printer under Devices and Printer (full instructions windows here and mac here). Specify the driver, select a local LPT or COM port to complete the installation. 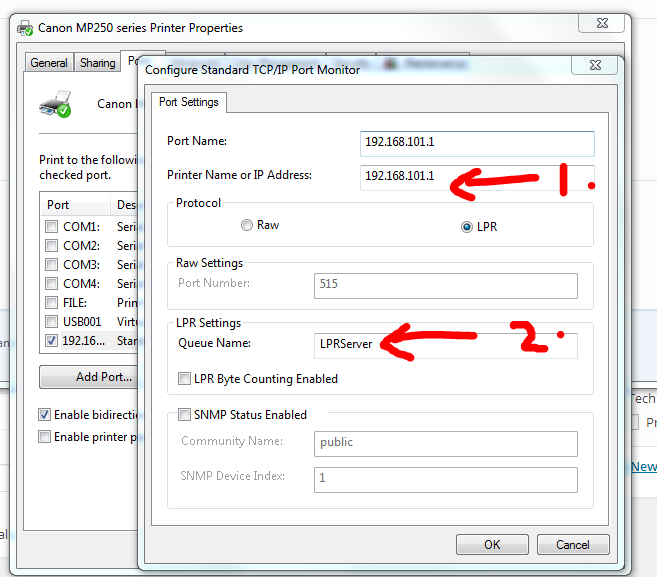 Then under the broken printer’s Printer Properties, add a Standard TCP/IP Port and specify LPRServer under Queue Name. Press Ok button twice and try printing again. 2. Now restart your computer. Magically another copy of the printer labelled ‘Canon MP258 series Printer Copy 2’ will be installed. This is the one you should be keeping as it will allow you to scan and print immediately. You can delete the other printer. I hope all these works, if nothing works for you, post in the comments. I will usually reply you within a day or week.